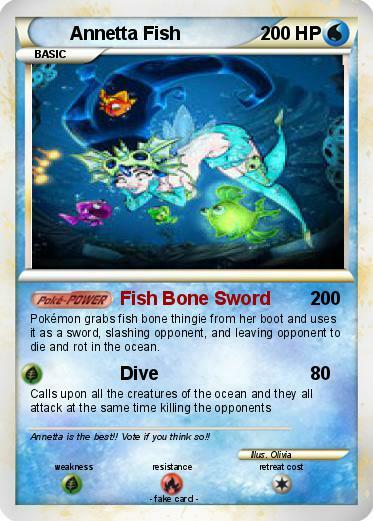 Pokémon grabs fish bone thingie from her boot and uses it as a sword, slashing opponent, and leaving opponent to die and rot in the ocean. Comments : Annetta is the best!! Vote if you think so! !